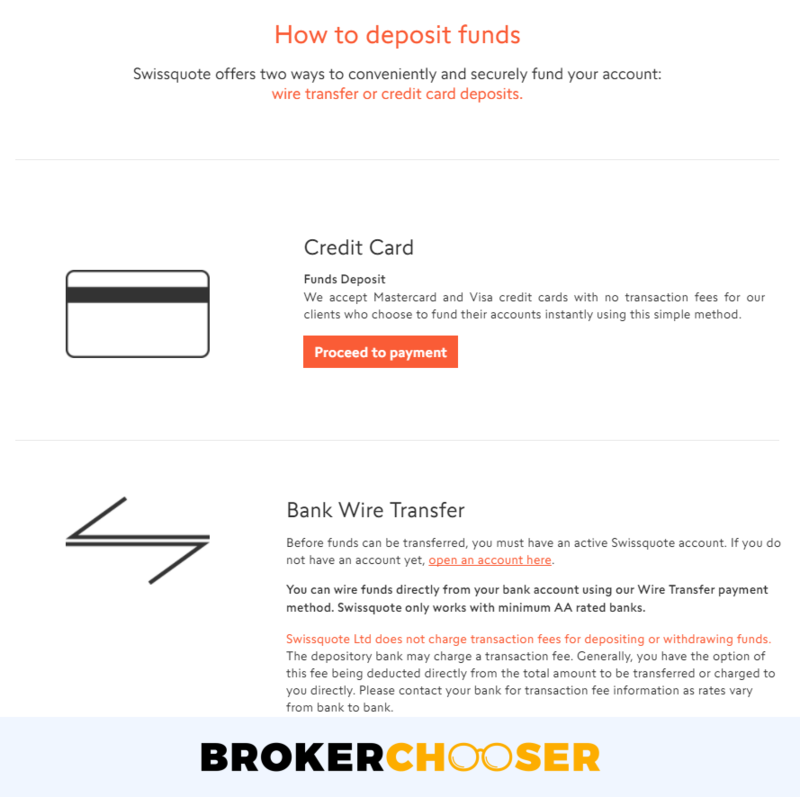 There is no minimum deposit required by Swissquote. Swissquote does not charge a deposit fee. This is great because the broker won't deduct anything from your deposits and you only have to calculate with the costs charged by the bank / third-party you send the money with. If you want to know more about Swissquote fees, check out the fee chapter of our Swissquote review. A minor issue with depositing money to Swissquote is that based on our experience it's not user-friendly compared to similar brokers. This means either that the interface is not user-friendly or that figuring out where and how you have to make the transfer is a bit complicated. Swissquote supports the major currencies like USD, GBP and EUR, but does not support minor currencies. If you would deposit in a major currency anyway, then the online broker won't have to convert it. However, if you use a minor currency that is not supported, Swissquote will convert your deposits and you will be charged a currency conversion fee.